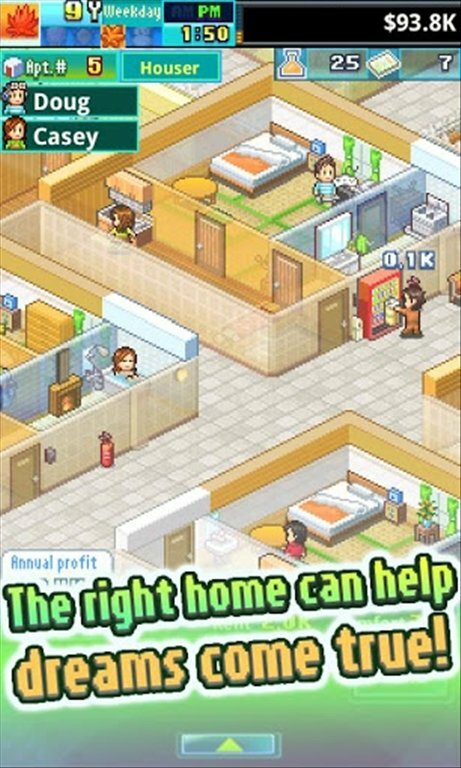 Thought you had already seen everything in terms of resource management games? 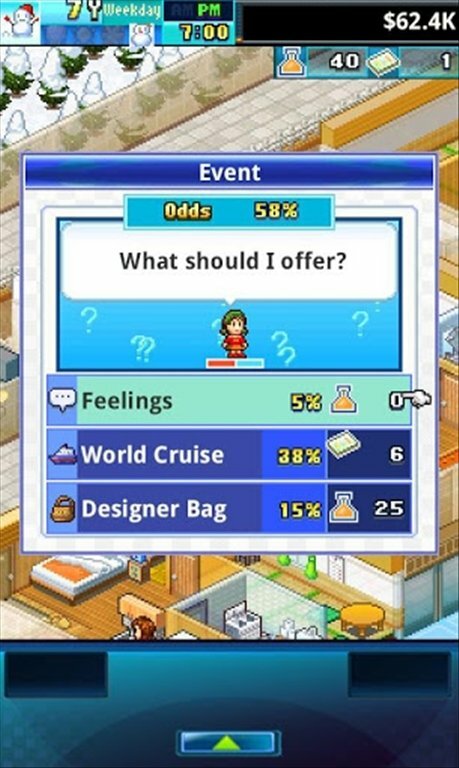 Download Dream House Days free for Android and discover an apartment management game with similarities to The Sims. 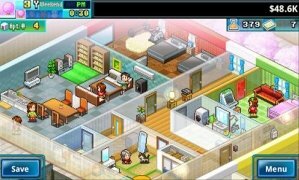 Manage apartments and live the adventures of their dwellers. 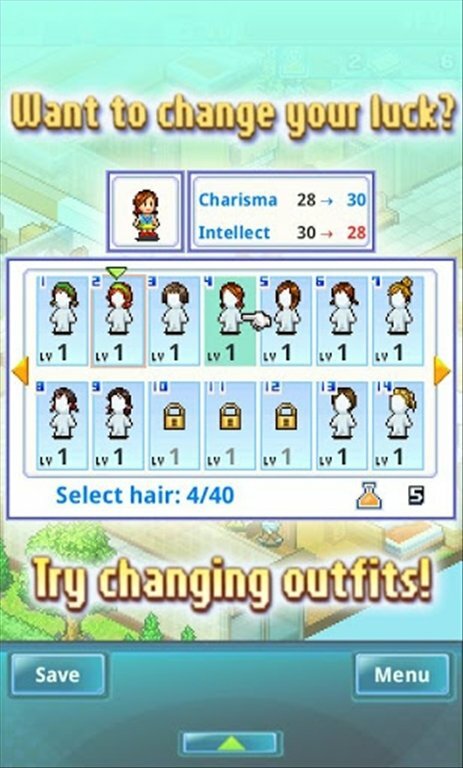 Tycoon's range of games for PC has challenged us in different situations, managing theme parks, hospitals, transport networks, zoos... Kairosoft is a Japanese company that develops surprising simulation games for mobile phones, such as Dream House Days. 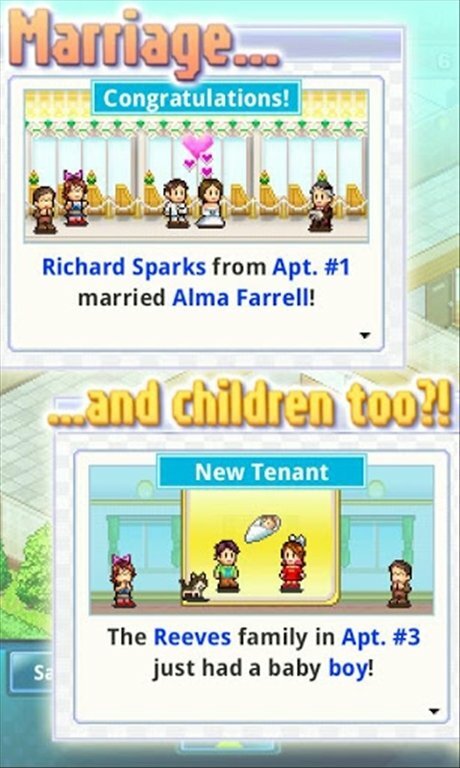 Dream House Days turns you into the owner of an apartment estate that you must build and decorate as you wish. Of course, you will have to collect the rent from the tenants and repair damages, but you will also have to make sure that the lessees are happy. 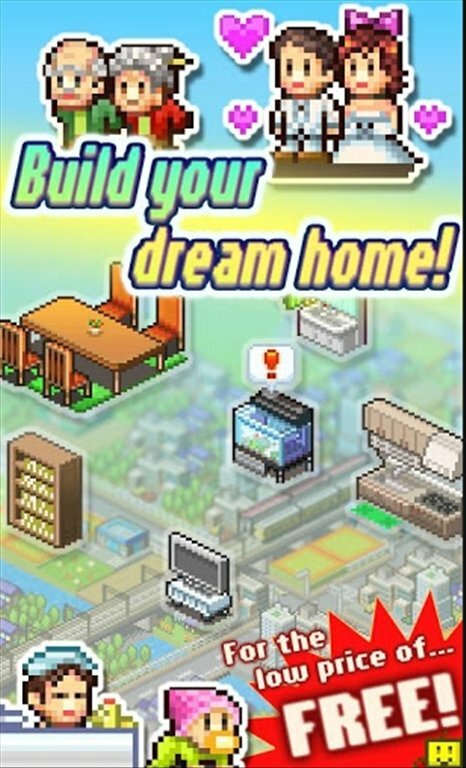 Make your dream house come true. 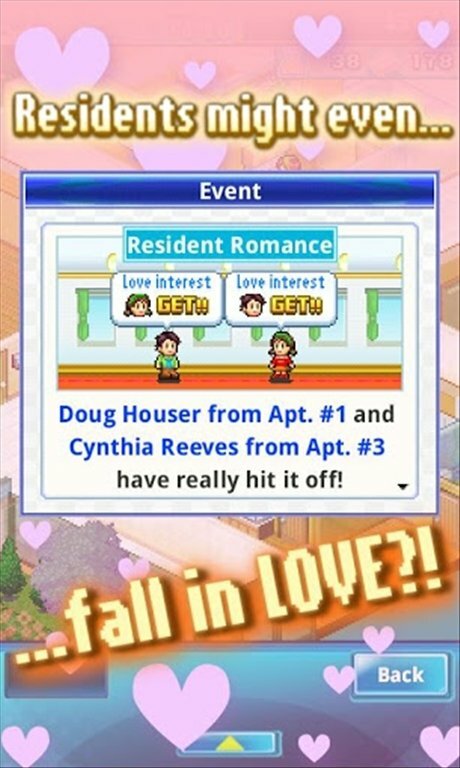 Romance may arise at any moment. Lead the apartment dwellers to live exciting adventures and reach their dreams. 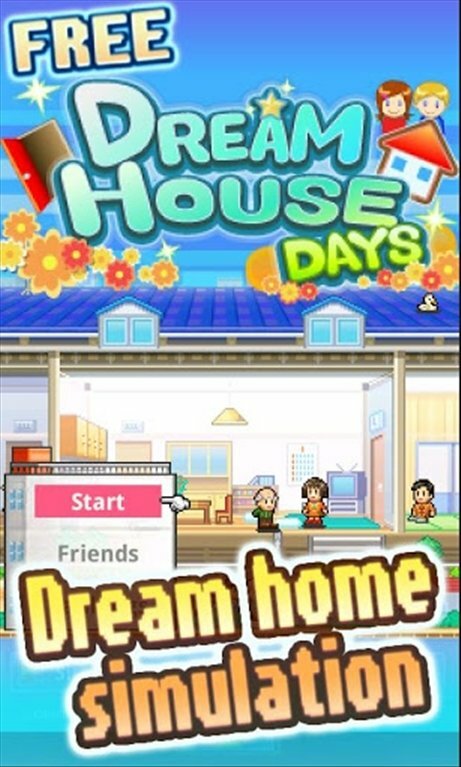 If you like simulation games, download Dream House Days free for Android.